As the country with the most waters in the whole world, Finland offers diverse opportunities for catching various species of fish. As much as 10 % of our country’s surface is covered by water. We have 187,888 lakes, the Finnish Lake District – the most extensive area of unbroken lake in Europe – as well as 1,100 kilometres of Baltic Sea coastline, including its archipelagos, and 647 rivers covering 25,000 kilometres. Could anglers wish for more? 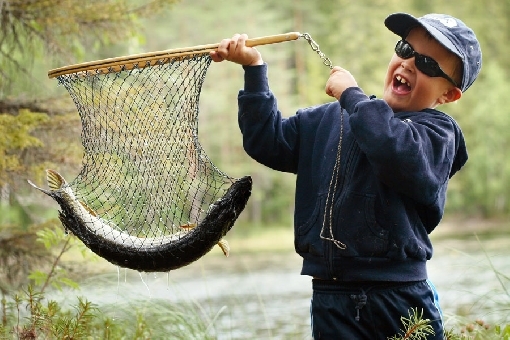 A happy young angler on Lake Kermajärvi, Heinävesi. Grayling anglers on River Kairijoki, Savukoski. Northern Finland offers great sites for anglers in pursuit of grayling and salmon. 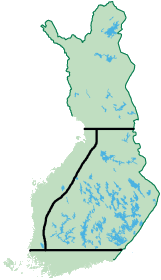 In the best sites in Northwest Lapland, known as the ‘Arm of Finland’, grayling can grow to weights of over two kilos. Dream destinations for anglers in pursuit of big salmon include River Tenojoki, the most prolific salmon river in Europe, and River Tornionjoki. In addition, Finland provides almost endless opportunities for angling different cyprinids and for fishing many other species. 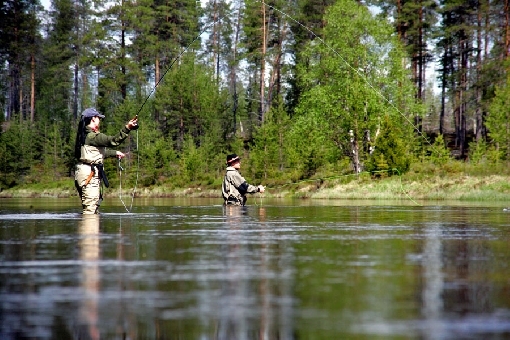 Finland is home to splendid waters that cater for spinning, fly-fishing and trolling enthusiasts alike. The open-water season lasts from late April to late November or early December. In winter, waters are covered in ice and anglers switch to ice-fishing. 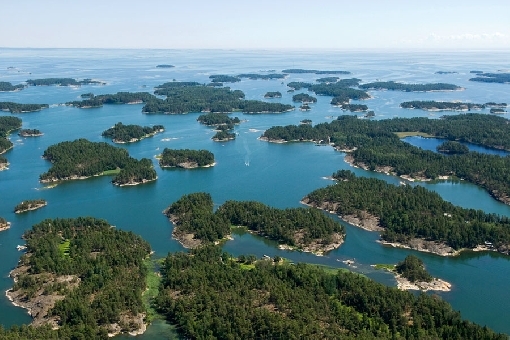 A view over the Inkoo Archipelago in the Gulf of Finland. It is just as easy to go fishing on the outskirts of a city as on a wilderness lake, thanks to good connections and reasonably priced fishing licences. High-quality cottages and other accommodation sites, located by the waters, make for excellent bases for an active and independent fishing holiday. The easiest way for you to get to know the fishing grounds is to turn to professional fishing guides who are located all across Finland as part of a comprehensive network. They have local knowledge and equipment making it easy to move along the water routes. Thanks to the abundance of waters, fishing has always been an integral part of the Finnish way of life with long traditions. Finnish lure-makers, most notably Rapala, are world-renowned. Even if Ahti, the water god of ancient Finns, is especially kind to you, you should still keep cool about what you catch: in other words, only catch what you can eat. We wish you every success and plenty of enjoyment by Finland’s unique waters.